Sant’Antioco’s most beautiful corner to me is the Cala Sapone one. Just drive your car following the sign to Coaquaddus beach but then keep the right and follow to Cala Sapone. As soon as you reach it the view is breathtaking, the land is wide and all around is windy and enchanting. 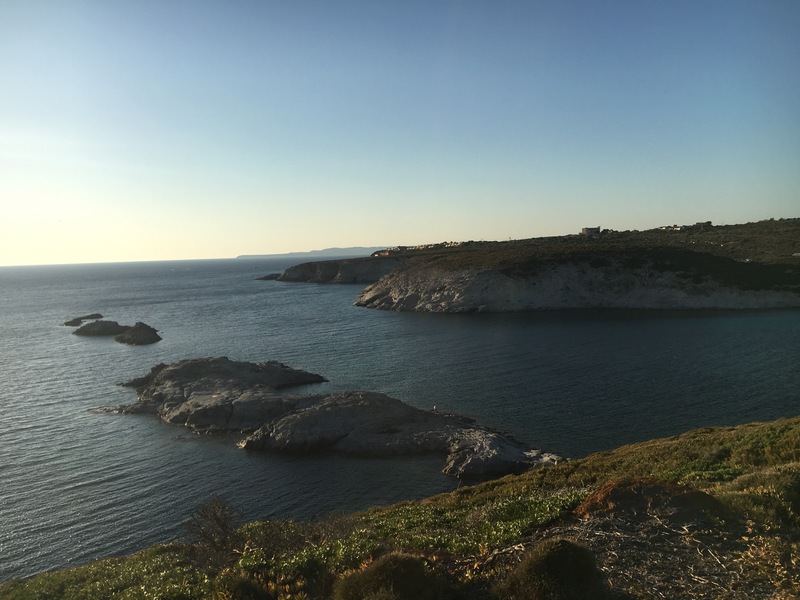 The Cala Sapone beach is also known as the lunar beach because of its conformation: it is a beautiful sandy beach, enclosed between two crowns of smooth rocks and easy to walk. Besides natural “swimming pools” where you can dive and swim in full safety. 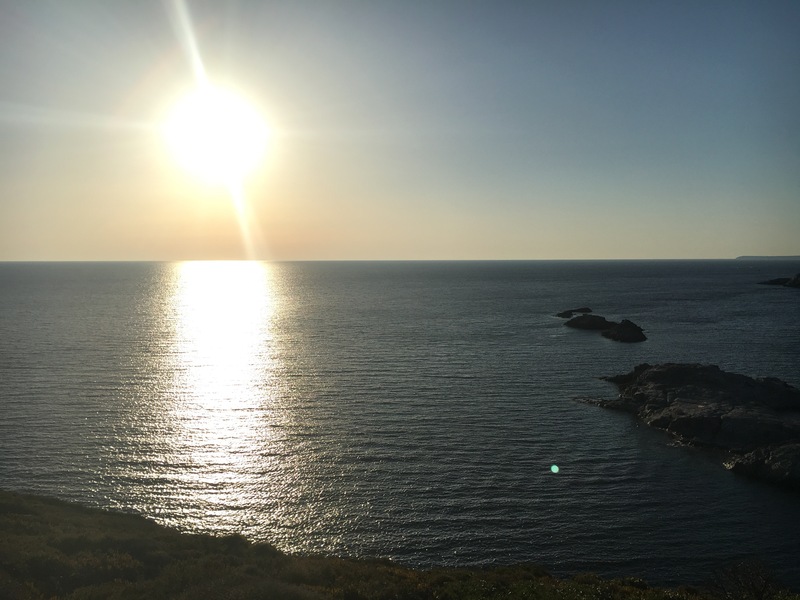 Last summer I had the chance to admire a beautiful sunset from Villaggio Polifemo, a beautiful residence village located on the promontory overlooking the sea. When you are inside the village, you can walk along the path and reach a rocky side from where you can enjoy Cala Sapone view from the top. Look at the picture below: isn’t it amazing and lunar? And then the sunset: no words can describe it better than my picture below. If you have the chance, don’t miss it!